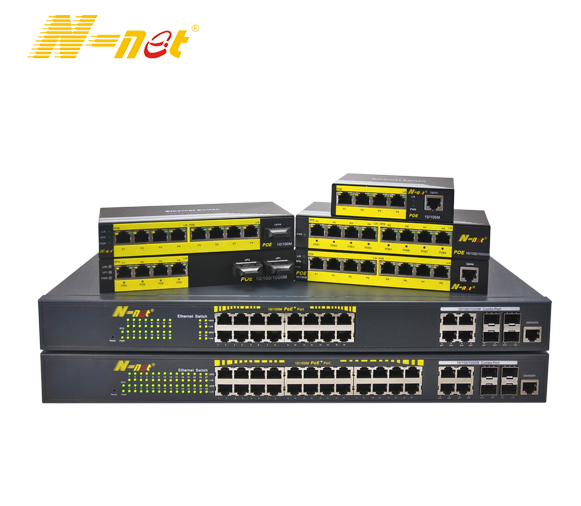 Product categories of Industrial Ring Ethernet Switch, we are specialized manufacturers from China, Industrial Ring Ethernet Switch, Industrial Ethernet Switch suppliers/factory, wholesale high-quality products of Ethernet Ring Switch R & D and manufacturing, we have the perfect after-sales service and technical support. Look forward to your cooperation! Industrial Ring Ethernet Switch is an industrial grade redundant ring Ethernet Switch, equipped with 1000base-X SFP interface, 10/100base-T (X) port. Support industrial ring protocol "NT- Ring", Gigabit ports effectively create Gigabit self-recovery ring redundancy (self-recovery time <20ms), protection grade, industrial grade four in accordance with EMC requirements, guide rail type or wall mounted, STP, RSTP protocol. It meets the requirements of industrial field for the reliability and practicability of the network system. Its reliable hardware design is especially suitable for industrial communication applications that require continuous operation.